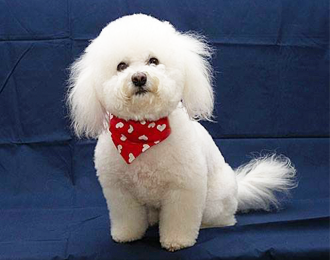 abc PetWear makes products for dogs, cats and other pets. We offer sizes to fit all dogs — even an XXL for the hard-to-fit larger breeds. Our bandanas are perfect for cats too. Cat lovers everywhere will delight in our unique design. We have found that cats and dogs tolerate the slip-on type bandanna much better than the traditional tie-on style. Our size chart is only a guide and approximate that's based on most dogs. Pet shape and weight may vary within a breed. If you have questions when deciding on the correct size for your pet, feel free to call. We will be happy to help with your decision. We also recommend going up one size if you have a breed with a long, fluffy coat.